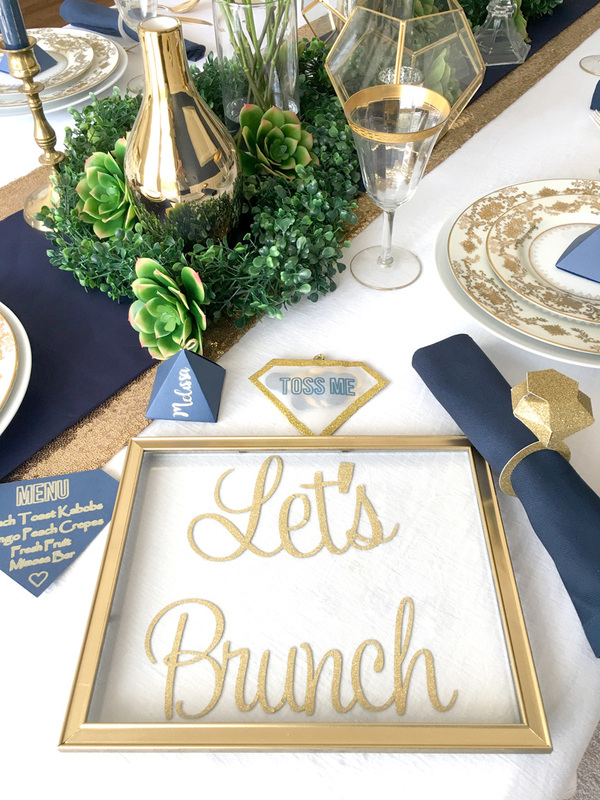 I was so excited when I was asked to partner with Cricut to create this beautiful bridal shower. 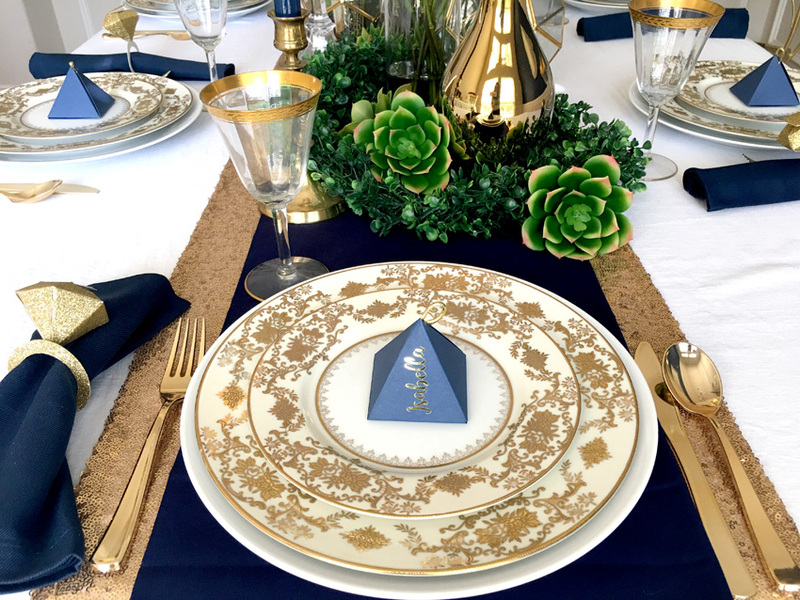 Not only because I love my Cricut Explore Air 2 so much, but because it was so easy to design my table with it! As my Cricut worked it's magic, my vision came to life! I immediately created an inspiration board with endless gold details and splashes of navy. This included a white vintage tablecloth and china, brass candle holders, a gold glam runner and beautiful succulents. The china I chose, belonged to my husband's grandmother. Isn't it gorgeous? It matched my vision perfectly with the navy blue accents. I love to have fresh flowers on the table, they just make it "come to life". 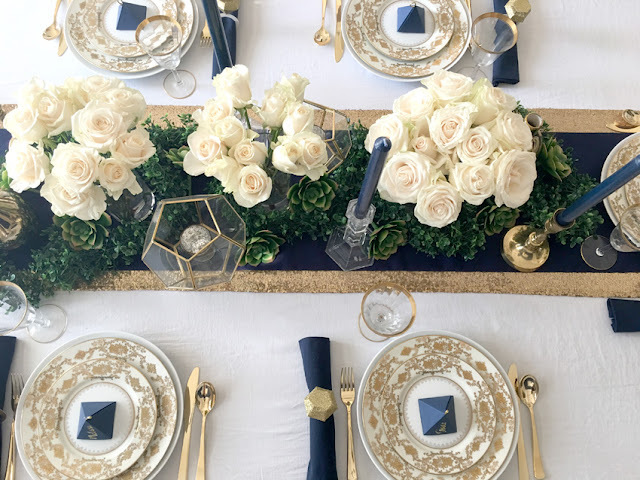 Choosing white roses instead of a color, helps pull the eye towards the gold and navy and not to take away from the other elements on the table. A bountiful succulent and boxwood garland placed down the center of the table ties everything together nicely. 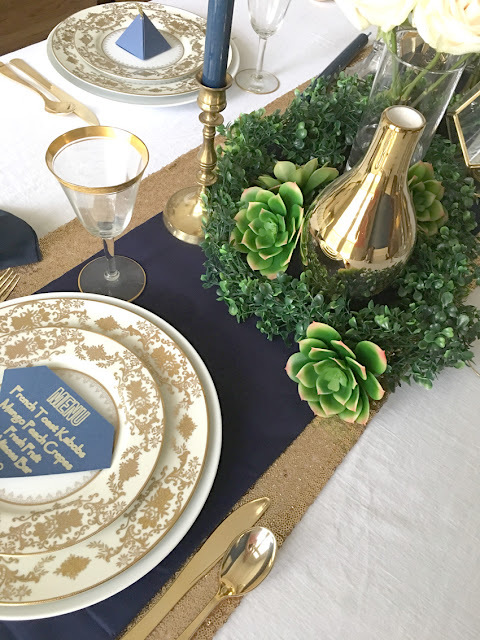 Simple gold accents are added to give a "pop" to the garland. 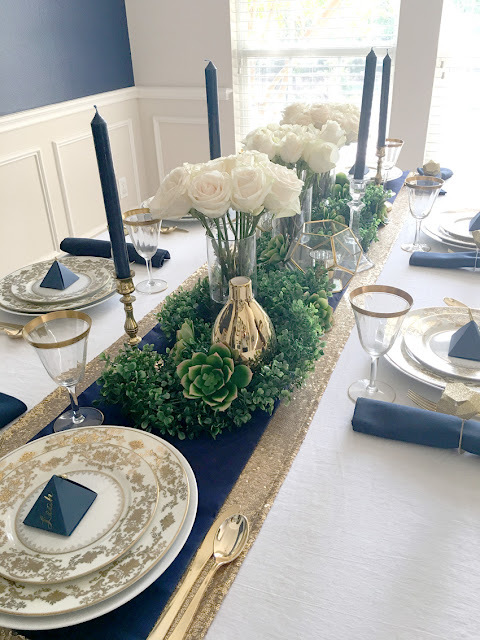 I used gold vases varying in height, brass and clear glass candle holders, as well as a few gold geometric terrarium candle holders and navy tapered candles. Staying with the geometric shapes, I created this fun toss me confetti bag! 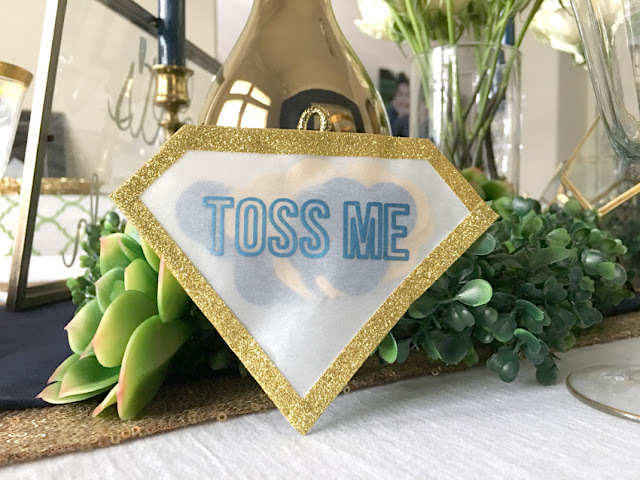 It is made of vellum and I simply used my Cricut Explore Air 2 to cut the diamond shape and the confetti to the size I wanted. Ever wonder why we toss confetti at a wedding? Confetti is a traditional symbol of good luck for the bride and groom tossed in the air to wish them health, happiness and a long life together. 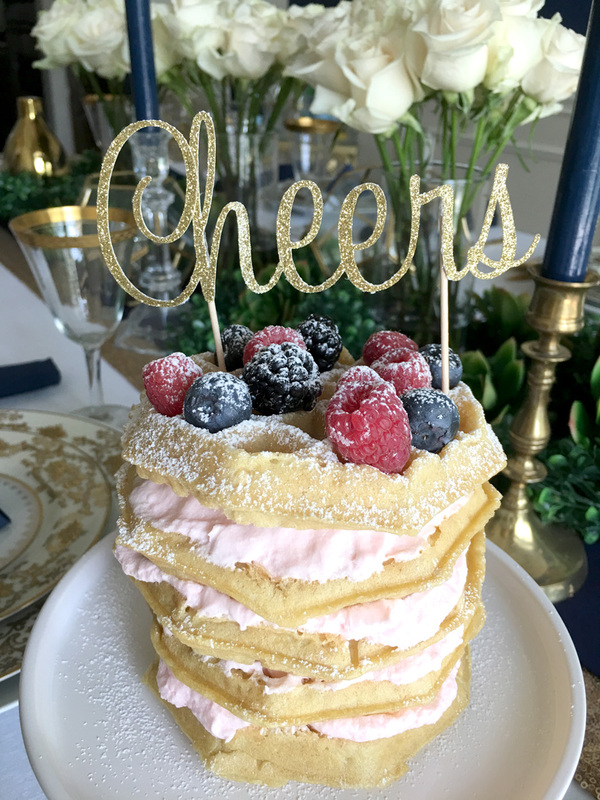 I incorporated it into the bridal shower for the guests to have some fun. 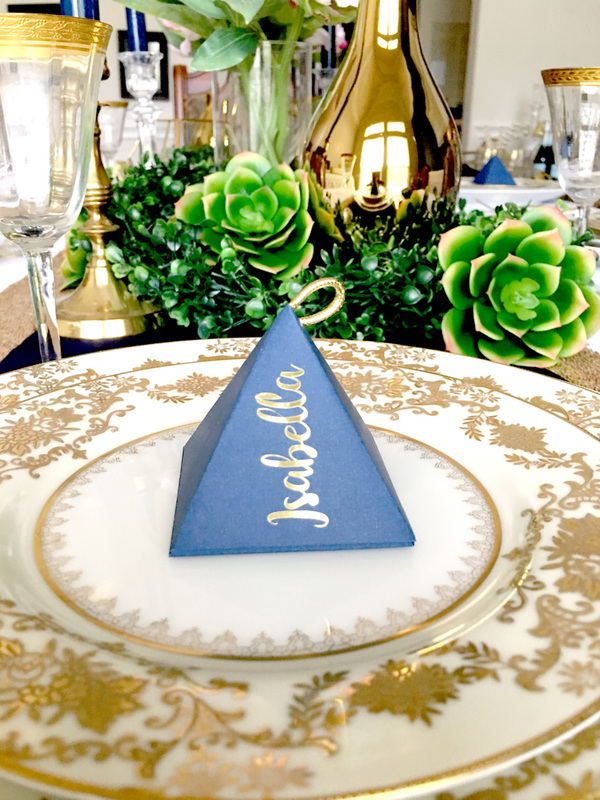 Adding unique place cards at each setting helps your guest find their seat with ease. 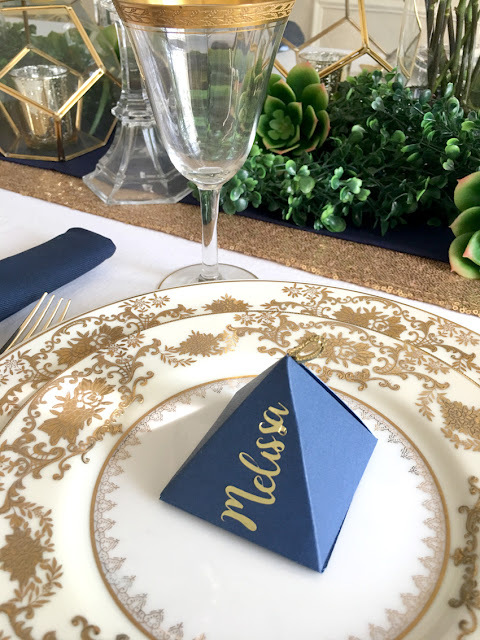 The pyramids I cut with my Cricut served as the place cards as well as held a hidden treasure inside. 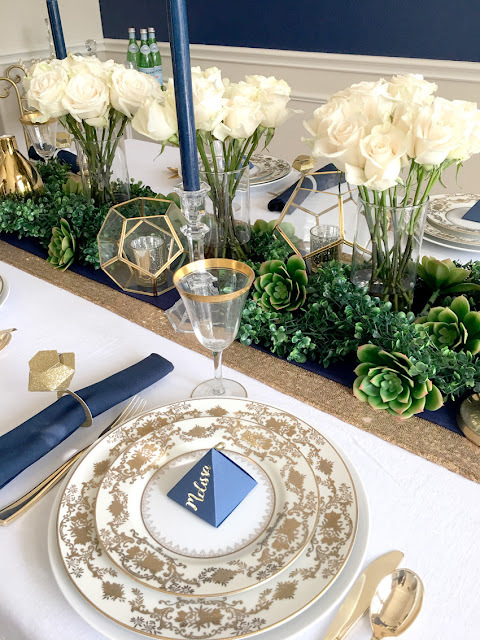 The beautiful gold glitter napkin ring not only held the napkin in place but tied in the geometrical element I incorporated throughout the table. If you know me at all, you know I had to add a pinch of pink on this table, but it is the sweetest pink ever! Cheers! I hope you enjoyed seeing this table as much as I loved creating it. 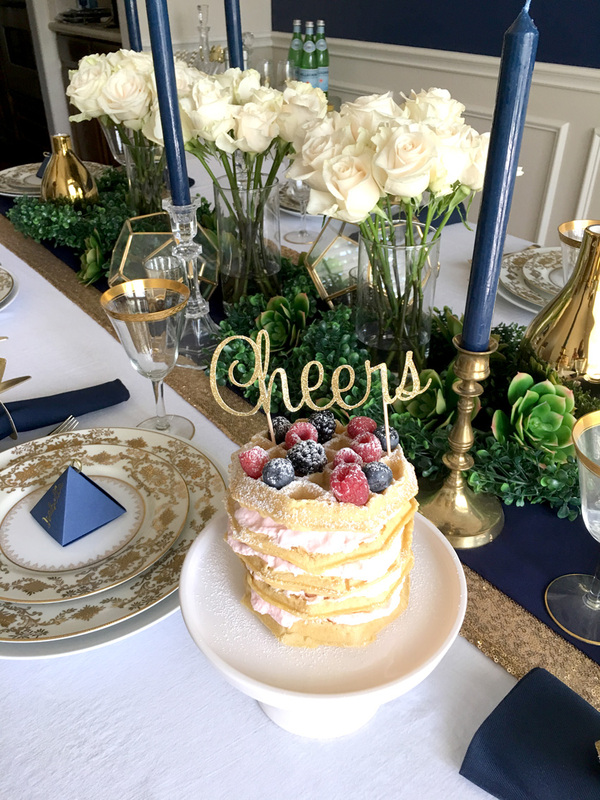 Stay tuned as I will share the details of the DIYs I created for this bridal shower. As an extra bonus, you can enter to WIN your own Cricut Explore Air 2 machine!! Yes, you read that right, you can WIN one!! Enter HERE for your chance. Good Luck! So beautiful and glamorous! 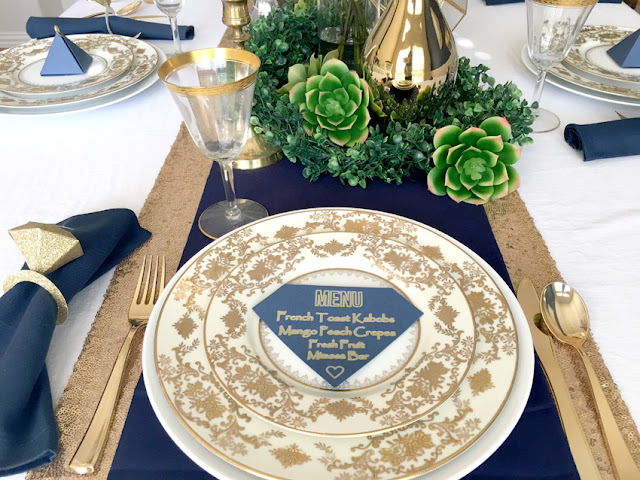 Love the diamond ring napkin rings--so creative! Thank you SO much!! 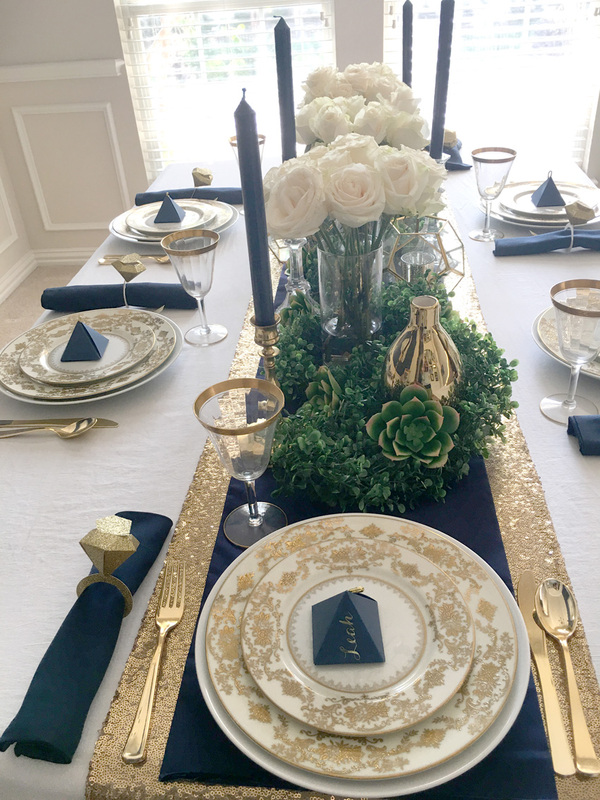 I think this is my favorite tablescape yet!!! Love, love, LOVE! Beautiful work, Jen! I'm crazy about the "Let's brunch" sign! Thank you SO much!! I love that sign too!! This is gorgeous!!! I love the confetti toss bag! So creative :) I heart Cricuts too - they can do everything! They really can!! Don't forget to enter the giveaway! This is an AMAZING arrangement! The pyramid name cards and the diamond ring napkin rings are SO creative!! 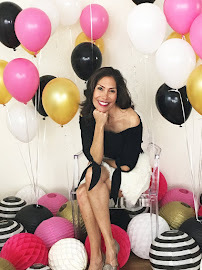 When I put together my next celebration, I know who I'll be contacting! Thank you SO much!! We would love to work with you! 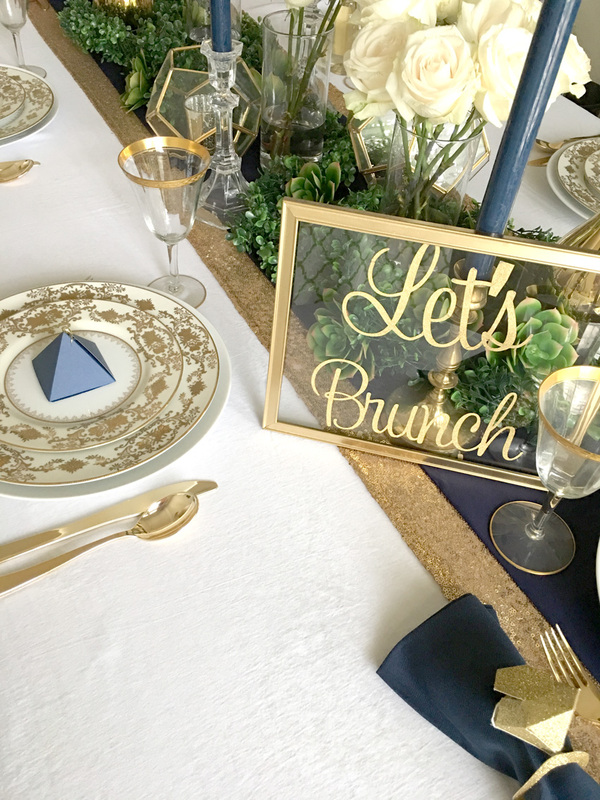 Love this Geometric Bridal Shower! 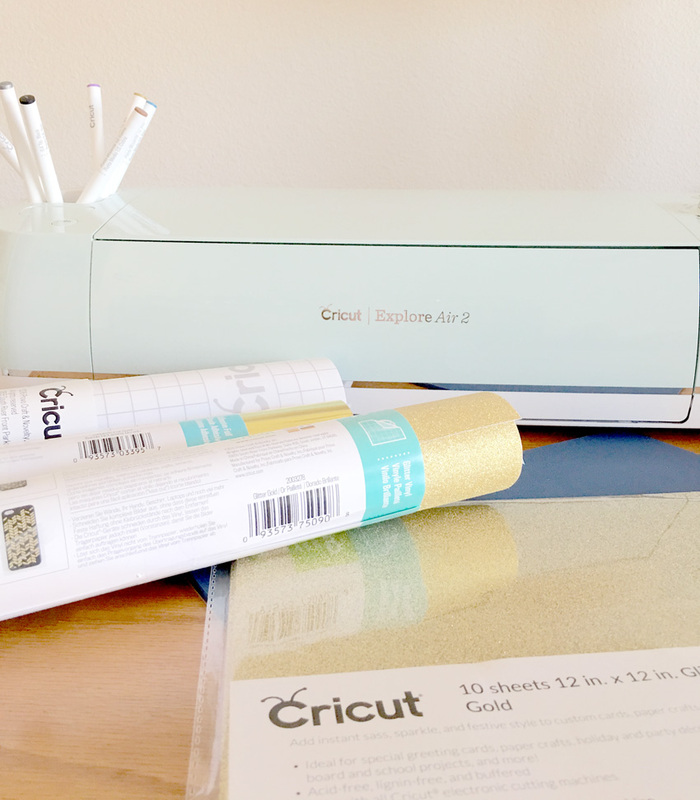 Love the colors too:) I just got my own Cricut, can't wait to get started!! The colors are so rich and I love how they compliment each other! 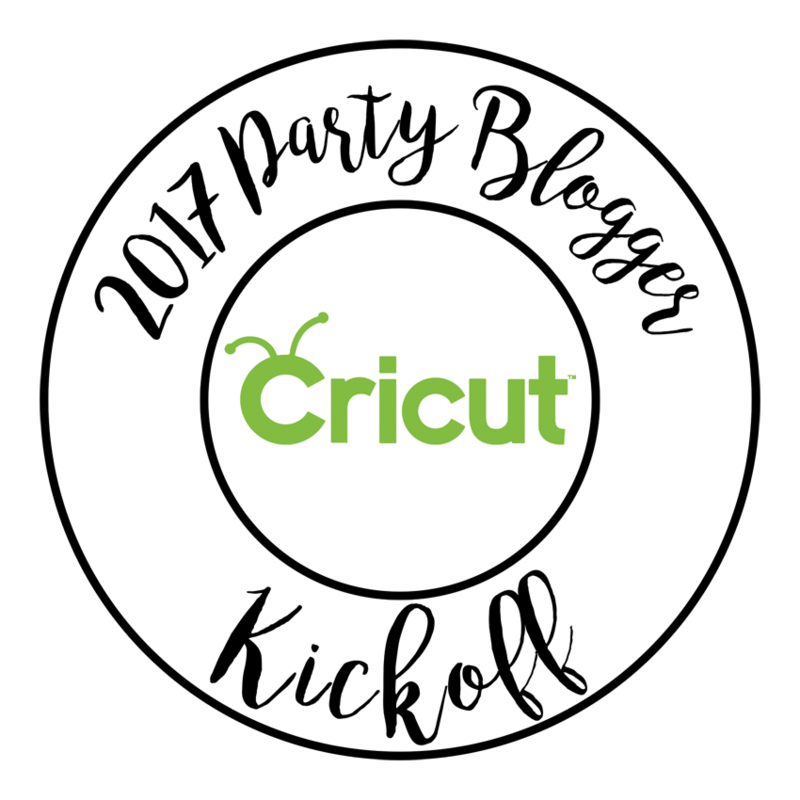 I'm super excited for you about your Cricut!! Let me know if you need any help! 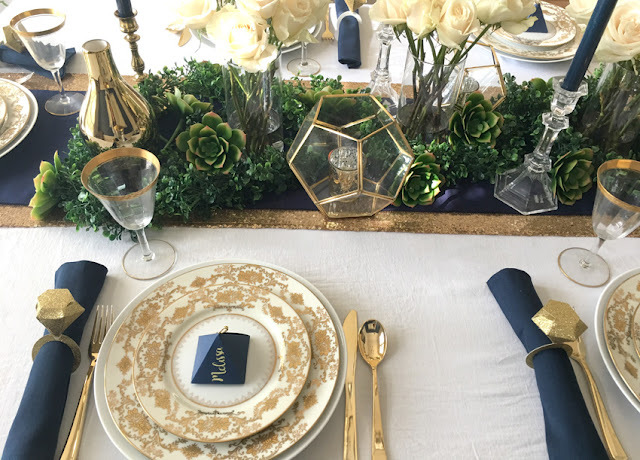 This bridal brunch is so pretty and creative! I love those confetti pouches!!! Thank you so much Lynnett! Can't have a bridal shower without confetti!! Wow!!!! Gorgeous!!!! Everything looks so beautiful!!!!! Amazing Jennifer!!!!! Thank you SO much! I'm pretty excited how it all came together! Thank you SO much Sri!! I love the balance as well! Wow this is so beautiful and elegant! I love the Gold and Navy together with your "pop" of color!! Thank you Tara!! I am loving how the two colors balance each other! 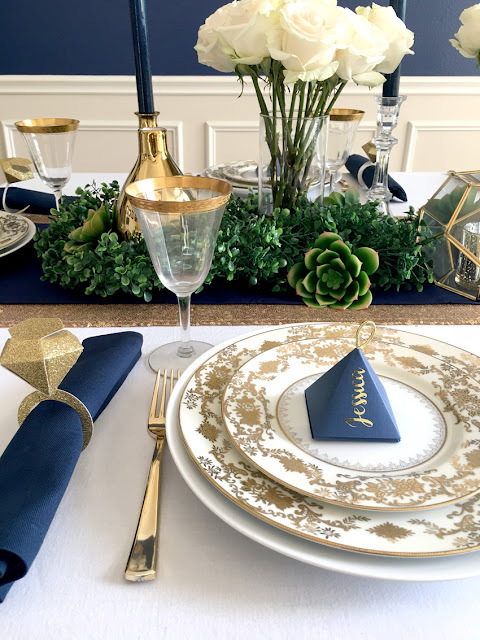 Wow Jennifer, a truly elegant tablescape! I especially love the unique place cards! I haven't seen anything like that before. You are so talented! The pyramid place cards are one of my favorite elements too!! Thanks Gita! Such a gorgeous setup!! The placecards are amazing!!! Thank you Lori!! I'm so happy with the way it turned out!! 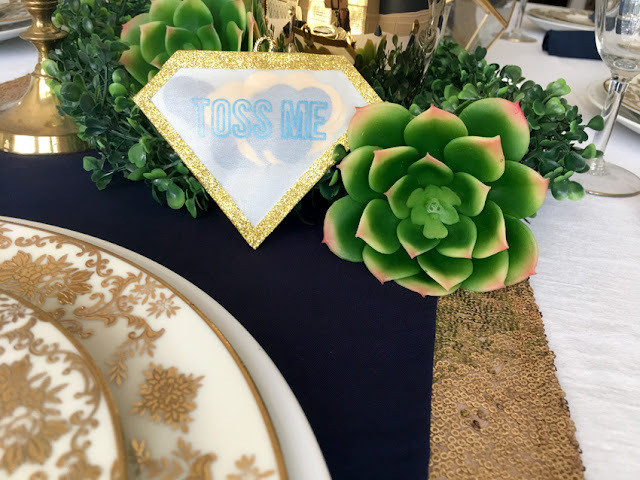 I absolutely love how you use Cricut on your decor! It turned out super cute!!! Thanks Carolina! I love it too and I LOVE My Cricut!!! The manager was prompt to respond to any question I had, patient with all my bridal anxiety, and most importantly, the entire wedding was managed flawlessly (as was our rehearsal). The food at wedding venues Chicago was amazing, and the venue was gorgeous. Sometimes, using the Internet is way better than doing it the traditional means. And sometimes, using an online Bridal Stores would prove to be more efficient and less costly -- this is especially true when your specs are not that common, and you don't have the luxury of time to plan for the wedding.